If you're searching for a table tennis club in Latin America, here's a great resource to get you started. 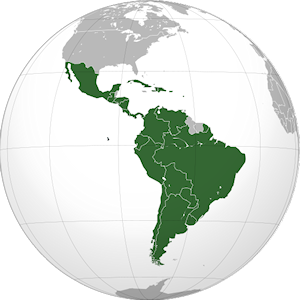 The Latin American TT Union co-ordinates all the activities of the affiliated Associations in their region, so their web site will be a great place to start your search. But if you already belong to a table tennis club in this region, you can submit the details here so that others can find you too. Additional, general, information about how to find table tennis clubs in your area can also be found here. For table tennis clubs in Latin America, try the Latin American TT Union web site. There you'll find details for all Associations in the region who are affiliated to the International Table Tennis Federation (ITTF). Anguilla, Antigua and Barbuda, Argentina, Aruba, Barbados, Belize, Bolivia, Bonaire, Brazil, Cayman Islands, Chile, Colombia, Costa Rica, Cuba, Curacao, Dominica, Dominican Republic, Ecuador, El Salvador, Grenada, Guatemala, Guyana, Haiti, Honduras, Jamaica, Mexico, Nicaragua, Panama, Paraguay, Peru, Puerto Rico, St Kitts and Nevis, St Lucia, St Maarten, St Vincent, Suriname, Trinidad and Tobago, Uruguay, Venezuela.